We have to acknowledge that we are sitting at a low point for popular movements and popular politics. Not just in South Africa. Look at Zimbabwe. The army intervenes to protect its interests against those of another Zanu-PF faction. There is a stalemate for days. But the only opposition comes from speeches of discredited leaders. Even Evan Mawarire, who led the last wave of protests, comments from his house, not from the streets. There is no force able to even contemplate challenging at a time when the elite is in a position of weakness – at war with itself and with both sides thoroughly discredited. Similarly in South Africa. The ANC is splintering in front of our eyes and there is no real popular force that is capable of taking advantage of the mess. 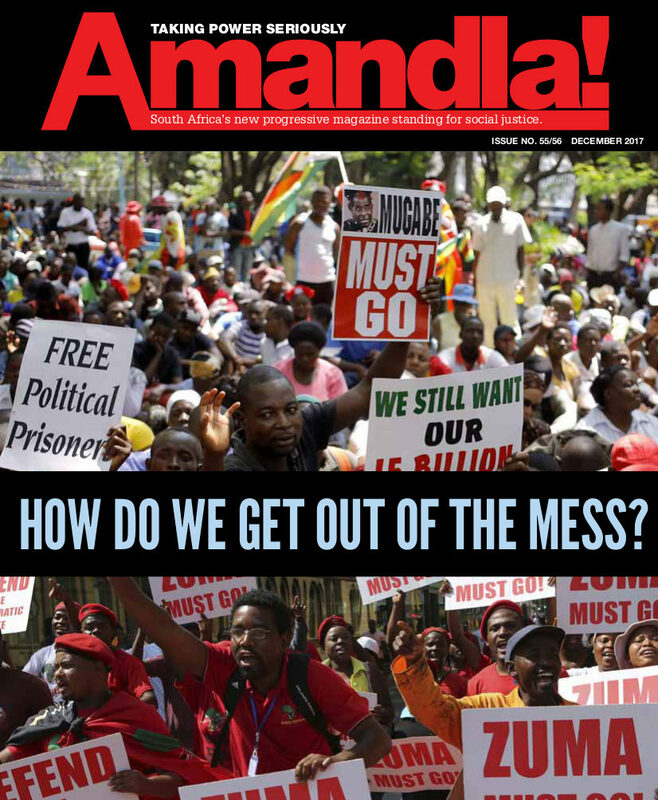 That is what inspired us to ask the question “How do we get out of this mess”? Firstly, we need to get some ancient obstacles out of the way. The ANC will have nothing to do with getting us out of this mess except as an obstruction. Riven with competing factions and material interests, the organisation can only take us deeper into the mess. This is so clear, to so many, that it becomes a puzzle why by now neither Cosatu nor SACP has been able to see it. Something must be getting in the way. Blocking their vision. We don’t have to go far to find it. Dogma – a preconceived, rigid view of the world – is a very effective obstacle to vision. The dogma of the “National Democratic Revolution” requires a national democracy which is not a workers’ or socialist state. Who else can the SACP or Cosatu ally themselves with for national democracy except the ANC? That is why both Cosatu and the SACP are in the process of repeating the grievous error of Polokwane. 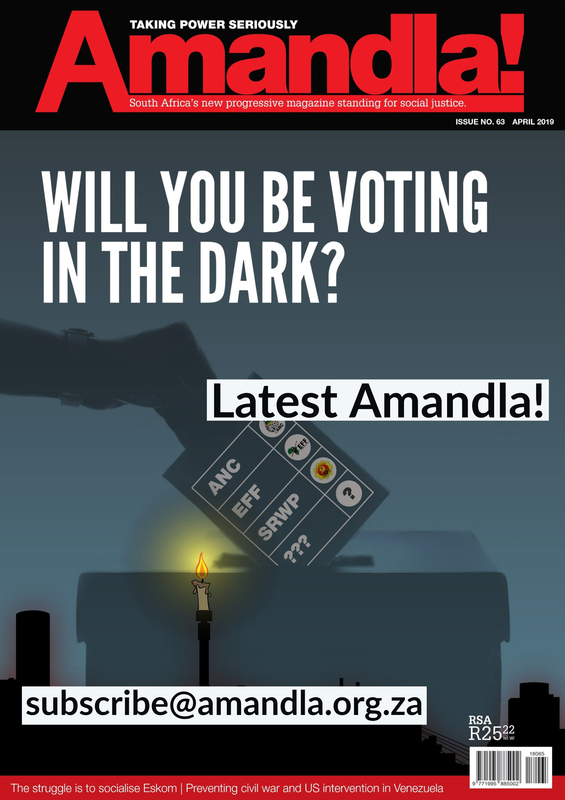 They are aligning themselves again with a candidate for the ANC leadership, because the only alternative is to go it alone as a communist party or a trade union federation. That represents not just a scary organisational prospect. It would require a fundamental change in analysis, theory and strategy. And what does this dogmatic albatross give the SACP? It allies them with Ramaphosa the mining magnate, Ramaphosa the billionaire who got rich from mining capital, Ramaphosa who showed his fundamental allegiance at Marikana. when he claimed the strikers were “criminals” and urged “concomitant action” the day before the massacre. Now this is beyond dogma – the realm of the ideological. This is naked material interest. 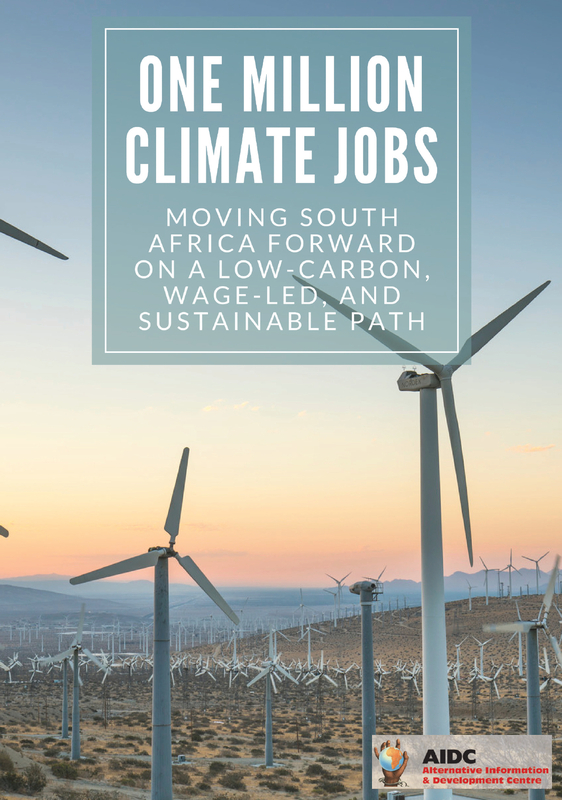 A Ramaphosa ANC will be unable to allow a shift to a rational alternative energy policy. After all, they must sell their coal. The dogma of the “National Democratic Revolution” requires a national democracy which is not a workers or socialist state. Who else can the SACP ally themselves with for national democracy except the ANC? And a Ramaphosa ANC will have to continue a strategy based on a continuation of the neoliberal strategy of the Mandela, Mbeki and Zuma governments. A strategy which minimises the role of the state and maximises the opportunities for capital to profit from delivering services previously delivered by the state. A strategy which has delivered a tripling in the number of unemployed from 3 million in 1994 to over 9 million today. So the SACP supports what Ramaphosa represents: a move away from the clientelist, cronyist Zuma politics, towards a restoration of South Africa to the more “normal” global circuits of capital. This of course dooms South Africa to remain a dependent economy, digging and exporting rocks, with a growing number of impoverished people, the very people that the SACP would claim to represent. So, if the ANC cannot, in any shape or form, represent the future, what is the way forward? Hand in hand with this call is the call to build and rebuild the mass movement. Noor puts it like this: “We need to build movements. We must build movements door-to-door, street-by-street, not to become EFF members, not to become Communist Party members. If they choose to be, so be it, but to build movements.” Zackie says the solution to state capture is building a “strong movement outside government”. So the desired trajectory is clear. 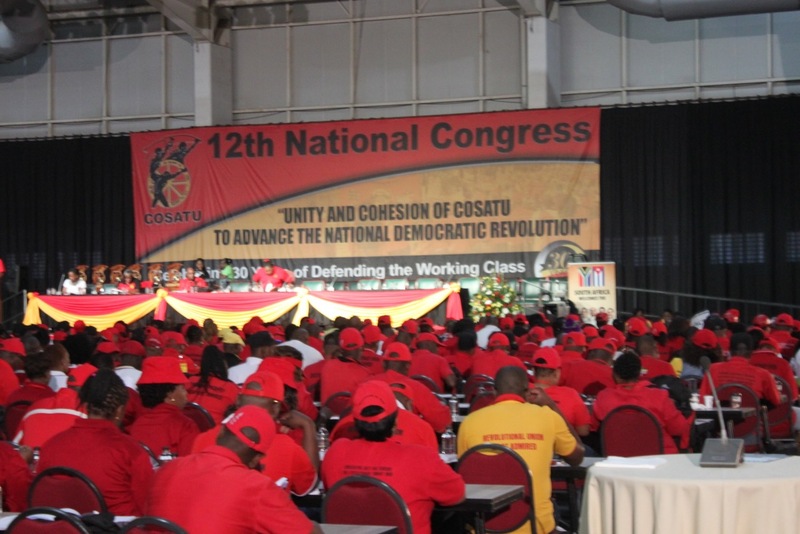 In fact it is quite similar to the “Numsa Moment” of 2013 – their version was to build a “Movement for Socialism”, rather than a left front, and a United Front as a version of the popular movement. But all of this schematic imagining begs the key question – what are the politics and what is the strategy that will bring us together into a force capable of challenging the current political crisis and ultimately of challenging for power? 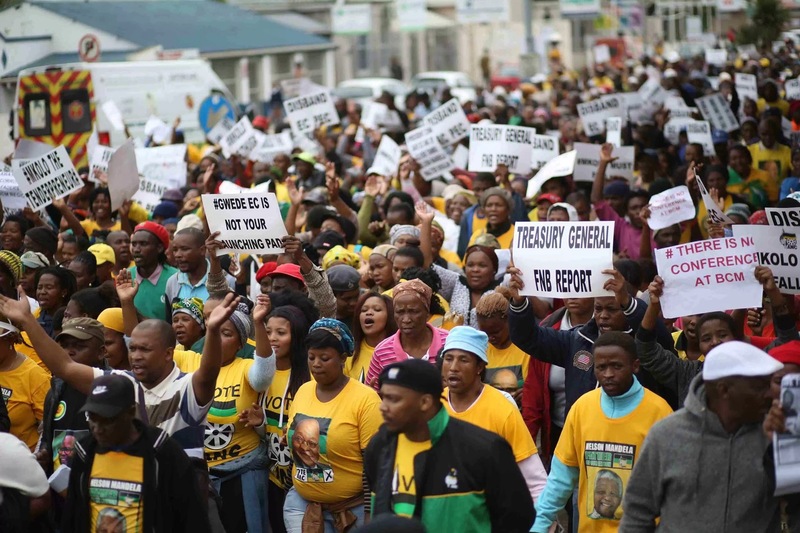 ANC members marching on the E.Cape provincial office. The ANC will have nothing to do with getting us out of this mess except as an obstruction. Riven with competing factions and material interests, the organisation can only take us deeper into the mess. Despite all the revelations of state capture, there are no spontaneous expressions of outrage. We need to understand the reasons for the passivity of the working class. Any working class political project that addresses the mess we are in has to understand this situation if it is to have a realistic chance. There is clearly an understandable disenchantment with what pass for “political organisations”. We saw this in the attitudes of the student movement. We have seen it in the labour movement, where Amcu, for example, has grown whilst maintaining a strict non-alignment policy that has so far even kept them out of Saftu.. There is, equally understandably, a crisis of confidence and trust. There has been disappointment. The disappointment of Zuma, the erstwhile beacon of the working class movement. The disappointment of the United Front, which has shown itself to be unable to fulfil its self-imposed mission to unite popular organisations which are constantly mobilised in protest. The disappointment of the “Numsa moment”, which came and went with noise but no action. The disappointment with Numsa’s Workers Party, which, four years after the idea was launched at the Numsa Special Congress, seems to have turned inwards, to involve only Numsa and so far not to have a political programme. And of course there are the material conditions of job insecurity, massive retrenchments and an inability of the trade union movement to mount an effective fightback against job loss. Towards a strategic direction for the left. Build autonomous, vibrant and strong mass movements across several terrains (education, workplace, rural, housing, food, women, youth, sports, arts and culture, etc.). In this way we actively build power from below, building a critique of, and alternatives to capitalism and its neo-liberal moment. Struggle for reforms in the here and now in order to improve people’s conditions, based on the constitution and other democratic rights and demands. To paraphrase John Saul, these must include structural reforms “as part of an emerging project of structural transformation” in a coherently left-ward direction. And these reforms “cannot come from on high”. They must be rooted “in popular initiatives in such a way as to leave a residue of further empowerment”. Wage struggles for alternatives and transformation (“transitional demands”). Such demands would include seed banks, coops, food sovereignty, the solidarity economy, public goods, a social wage, renewable energy, and so on. Develop an alternative culture through arts, media and sports. This would include magazines, poetry, cultural movements, heritage from below, etc. Produce knowledge from below. We must research, study and publish alternative knowledge. None of this is possible without sustained activist development and political education in order to build a critical mass of conscious, confident, capable and effective activists who can carry the massive tasks ahead.